Introduction: Patient safety is a major public health problem. In fact, patient safety is a global health concern that affects patients in all areas of healthcare throughout the world, whether in developed or developing countries, and it is important to have a wide range of nursing practices such as education, clinics, and management. Considering the importance of patient safety in the quality of care and outcomes of patients, this study was conducted to systematically review patient safety in Iran and in the world. 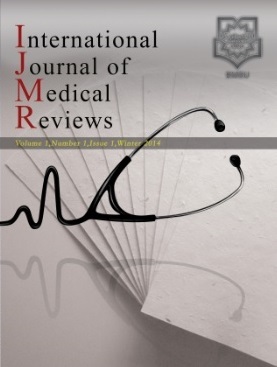 Methods: This article follows the review of texts on patient safety dated between 2008 and 2016 found in Internet searches and library studies with the keywords "patient safety training", "quality of care", and "nursing" using databases such as MEDLINE, CINAHL, and ISI, which index the vast majority of published journals and publications. From the articles searched, 23 were obtained and reviewed. Out of the large amount of quantitative and qualitative studies found, articles about the patient safety in nursing were selected and their results are summarized in Table 1 below. Results: The results of the review of 23 articles showed that patient safety in the majority of Iranian hospitals was at acceptable levels, and only in a few cities such as Shiraz and Hamadan. Conclusion: According to the review, further planning is needed to improve the patient's safety, such as reducing mistakes, incidents of falling, hospital infections, surgical complications, and improving other safety features so that all hospitals in the future will be upgraded to safety-friendly hospitals.